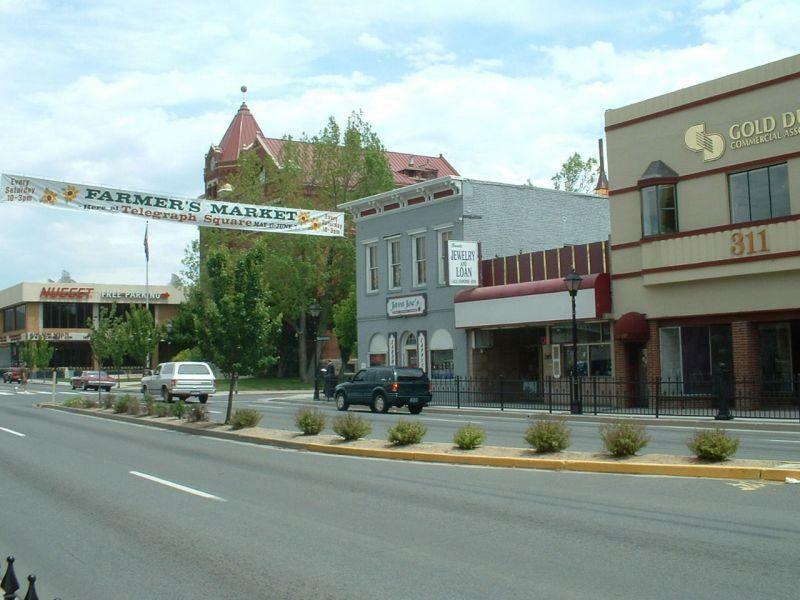 This morning the Reno Gazette Journal ran a cover story about Carson City’s downtown, and what will happen to it after the freeway is completed. Everyone’s looking ahead to the year 2010 when all the “just passing through” traffic will be on the bypass, and downtown will become a destination rather than a speed bump. When that happens, some people think downtown (or “Old Town”, as they’re trying to rename it) will get better, since there will be less congestion and a more peaceful atmosphere. There are talks to remove the iron fence that lines Carson Street, and maybe even narrow the street to two lanes and widen the sidewalk. They say this will bring more people downtown, because it will be a more enjoyable experience overall. But not everyone agrees. The article also has quotes from downtown businesses, most notably the Carson Nugget, that say all the travelers rumbling by every day make up a good deal of their business. That “just passing through” traffic very often becomes “let’s stop here for a bit” traffic, and the opening of the freeway will drive those customers away, probably to places like the Pinon Plaza that are visible from the highway. And they also doubt that a lack of traffic will draw in the locals. If people aren’t going downtown now, a drop in daily car counts isn’t going to be enough of an incentive for them to change that. Downtown is going to have to transform itself and bring in new businesses, which in turn will draw in the crowds. And it won’t be enough to have more restaurants and casinos, there will need to be shopping, events, entertainment, and maybe even a movie theater. Personally, when I think of places that draw me in and make me want to spend my time there, I think of places like the Reno Riverwalk, or the Heavenly Village at Lake Tahoe. Places where you can kill a few hours just strolling or sitting around. Or downtown Folsom, CA, where cars are secondary to pedestrians, and all the buildings seem to complement one another. But “Old Town Carson” has got a lot of work to do before it’s anywhere close to any of those places. It can’t be like Heavenly Village, because that place was master-planned and willed into being all at once. It will never be like the Riverwalk, because there’s no river (unless the Board of Supervisors takes a cue from Abbot Kinney and starts digging canals). And unlike Folsom, all the buildings in downtown Carson seem kind of indifferent to one another, like they’re distant relatives who have to live together, but never really get along. The elegance of the Laxalt Building, the tacky gold studded collar on the Nugget, the oh-so-70s chunky rock walls of Cactus Jack’s, the haphazard storefronts on either side of the street, and Stew’s towering teal neon sign that threatens to destroy you through sheer force of will. This is the mess of architecture that assaults your senses as you travel down Carson Street, and you never really get the feeling that the town itself has any character. I much prefer strolling the tree-lined streets of the Blue Line neighborhoods, and I tend to think of the Governor’s Mansion as the real heart of town. Especially at Halloween. Walking through downtown Carson, especially the central core from Musser to Robinson, just isn’t a pleasant experience right now. And it’s going to take more than reduced car counts and a couple of planters to change that. We’ve got four years to think of something, but that might not be enough time.